The Australian Open draw was revealed on Thursday evening in Melbourne ahead Monday’s tournament kick-off date and it saw Roger Federer land in the same half as Rafael Nadal. World No. 1 and six-time champion Novak Djokovic shares a half of the draw with the player who defeated him in the final of the ATP Finals last November, Alexander Zverev, and floaters like Andy Murray, Nick Kyrgios, Stan Wawrinka were all handed tricky openers. 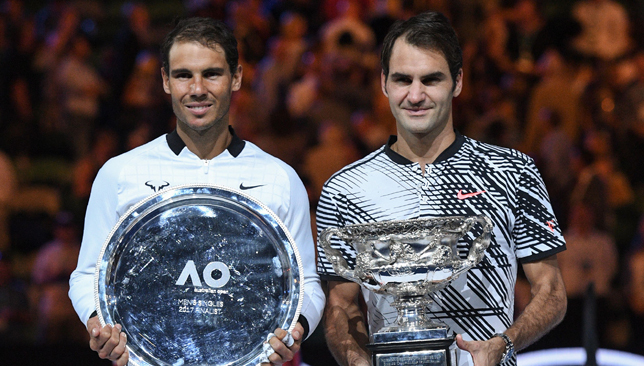 Here are the main talking points surrounding the men’s Australian Open draw. The top seed is gunning for a record-extending seventh Australian Open crown this upcoming fortnight but has some potential early landmines in his path with 2008 finalist Jo-Wilfried Tsonga – returning from an injury break and showed decent form in Brisbane – a second-round candidate for the Serb, and talented teen Denis Shapovalov a possible third round opponent. Djokovic also has both Brisbane finalists in his quarter, with in-form 15th-seeded Daniil Medvedev possibly awaiting in the fourth round and eighth-seeded Kei Nishikori a potential quarter-final rival. Two-time defending champion Federer has a relatively manageable draw, with two of the three players he defeated in Hopman Cup last week – Stefanos Tsitsipas and Cameron Norrie – landing his quarter. The likes of Karen Khachanov and Marin Cilic could face the Swiss in the last-eight and he opens against Uzbekistan’s Denis Istomin. Unseeded floaters like Murray, Kyrgios and Wawrinka were always going to be a major question mark entering this draw and they all received tricky paths. Murray, who is still on his way back from hip surgery, opens against Doha champion Roberto Bautista Agut, who defeated Djokovic last week on his way to his title triumph in Qatar. Home favourite Kyrgios, who is down to 51 in the world, drew fellow big-server Milos Raonic in round one, while Wawrinka takes on erratic Lativan Ernests Gulbis in his first match. If ever there was a time for Zverev to best his fellow youngsters at a major, this would be it. The 21-year-old German has been at the forefront of the Next Gen crew for the past couple of seasons and solidified his position as the leader of the group when he won the ATP Finals last November. But as much as he has proven himself on the ATP tour, Zverev only has one Grand Slam quarter-final to his name, which has led people to question his abilities in the best-of-five format. His draw in Melbourne grouped him with several players from his generation like Chung Hyeon – semi-finalist in Melbourne last year who defeated Zverev along the way – Borna Coric, and seventh-seeded Dominic Thiem, who is four years older but is still considered part of that up-and-coming group of stars. Novak Djokovic believes the “face of tennis is changing” as the younger generation of players continue to step up their game in hopes of staking a claim on the major titles in tennis. Djokovic, who returned to the top spot in the world rankings, thanks to a tremendous second half of the 2018 season, lost to just three players from the start of Wimbledon onwards last year – Stefanos Tsitsipas in Toronto, Karen Khachanov in Paris-Bercy and Alexander Zverev in the ATP Finals in London. All three are aged 22 and under. The 31-year-old Serb looks to be back to his devastating self but remains acutely aware of the fact that the young guns are closing in, having been subjected to their threat and fallen short on those three occasions last season. “Good,” Djokovic says with a smile when told the stat and age of the opponents he lost to in 2018. Asked if he thinks any of those youngsters can rise to the occasion and win a Slam in 2019, Djokovic said: “There’s always a possibility and rightfully we’re kind of expecting them to be Grand Slam winners soon. Number one is Zverev obviously, who has been now top-three in the world for a couple of years in a row, winning London, winning I think three Masters 1000 events. “He’s definitely the leader of the up-and-coming stars and the next generation. You have guys like Tsitsipas, (Dominic) Thiem, Khachanov, (Borna) Coric, these guys are showing that they’re able to challenge the top players for the top titles of our sport so for sure I’m expecting them to do well this season. Last season, Coric defeated Federer in the final in Halle, the likes of Chung Hyeon, 22, and Kyle Edmund, 24, reached the semis of the Australian Open, and Zverev, 21, ended the year by clinching the ATP Finals in London. Still, the Slams were still won by the ‘Big Three’, with Roger Federer triumphing in Melbourne, Rafael Nadal winning Roland Garros, and Djokovic taking the Wimbledon and US Open crowns. “It’s not the first time that we’re expecting young players to challenge all of us for top positions. So far the top-three guys have been still able to keep those three positions of the world for many years, we’ll see what happens,” added Djokovic. 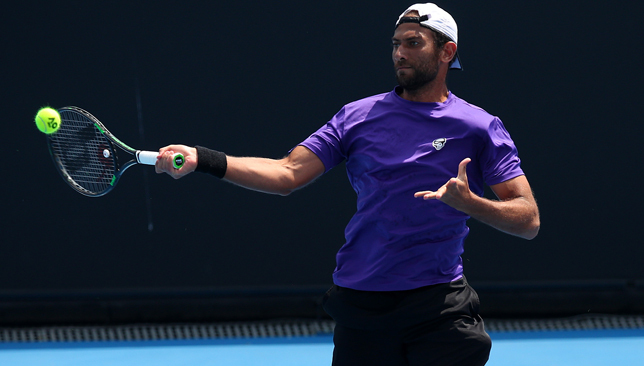 Egypt’s Mohamed Safwat crashed out early in Australian Open qualifying but insists his game is moving in the right direction at the start of this new 2019 season. The 28-year-old Safwat lost 6-2, 7-6(4) to home favourite Thanasi Kokkinakis in the first round of qualifying on Tuesday at Melbourne Park, in a clash that was a lot tighter than the scoreline may indicate. Kokkinakis raced to a 4-0 lead in the opening set, but had to save break points in both his service games en route. The 145th-ranked Aussie had match points on Safwat’s serve in the eighth game of the second set, but he broke a string on the first one, and the Egyptian held for 4-5. Serving for the match the following game, Kokkinakis was broken for the first time in the match. Safwat forced a tiebreak and came back from 0-3 down in it, but Kokkinakis recovered and secured the win. 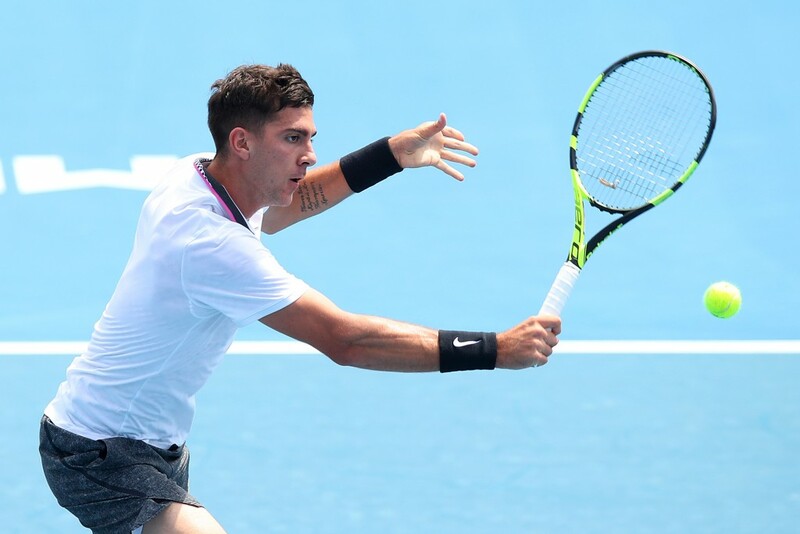 The 22-year-old Kokkinakis, whose career has been plagued by numerous injuries, was a surprise omission from the Australian Open’s wildcard list. The Adelaide-native defeated Roger Federer in Miami last year, and captured two Challenger titles in the second half of 2018, but it wasn’t enough to lock down a spot in the Australian Open main draw. “That’s a very funny situation which I’m not going to comment on but I knew this could be a possibility from a few months ago,” Kokkinakis said when asked about being overlooked for a wildcard. He described Safwat as “sneaky good” and was happy to get through in straight sets. On his part, Safwat admits his low conversion rate on break points is something he is actively working on (he won 1/5 break points on Tuesday) but feels he is making some progress in that department. “I was working on the past month, to improve my success rate on break points. How to win them, what’s happening, what’s the best way to win them? If I look at all my matches, I think today I had like five break points and I won just one and if I just raise it a bit by 10 per cent, it will add up in a lot of matches,” Safwat said. Looking ahead this new season, Safwat isn’t setting any ranking targets but has some other goals in mind. “To be honest, what I’m trying to achieve for the next few weeks is to stay the course, not really lose my course, to be very clear on what I want to do and even if it doesn’t work out – like for me in the match for example, last week it wasn’t really working for me, the thinking of converting break points better but today, I had a lot, but with three of them I really did well but I was unable to finish off the point. So it’s going forward in the right direction. I just want to stay clear in what I want to do and not get distracted by winning or losing. That’s my realistic target,” he says.